Independent film studio Film Movement is taking audiences on a journey into the history of the blues this summer. 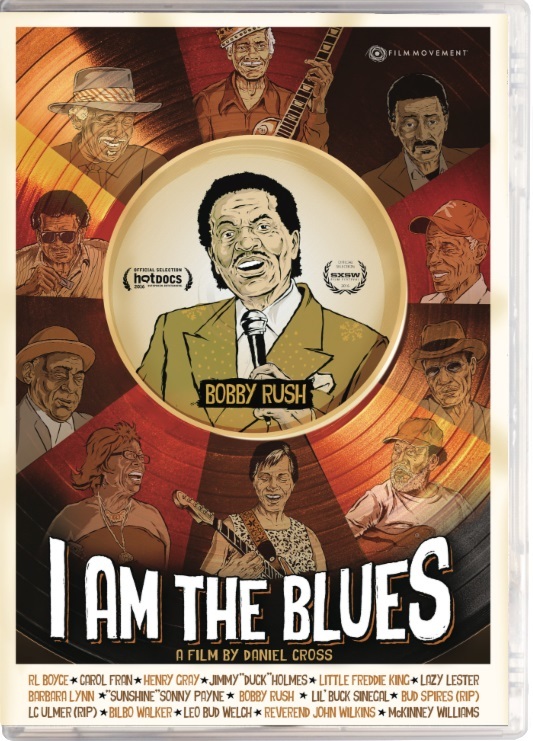 Film Movement will release its documentary I Am The Blues Tuesday, Aug. 8 on DVD and Digital HD. The documentary, originally released theatrically in 2015, takes audiences on a tour of the places that formed the foundations of the blues, meeting the people who helped form those bases along the way. The places include the swamps of the Louisiana bayou, the juke joints of the Mississippi Delta and the hidden gems of the famed “Chitlin Circuit” that so many of the blues founders traveled decades ago. Those founders include the likes of Bobby Rush–who won his first-ever Grammy® with his latest recording Porcupine Meat, which Rush released at the age of 83—Barbara Lynn, Little Freddie King, Lazy Lester, Henry Gray, Carol Fran, Bilbo Walker and many others. To keep up with the latest sports and entertainment news and reviews, go online to http://www.facebook.com/philspicks and “Like” it. Fans can always keep up with the latest sports and entertainment news and reviews in the Phil’s Picks blog at https://philspicks.wordpress.com.